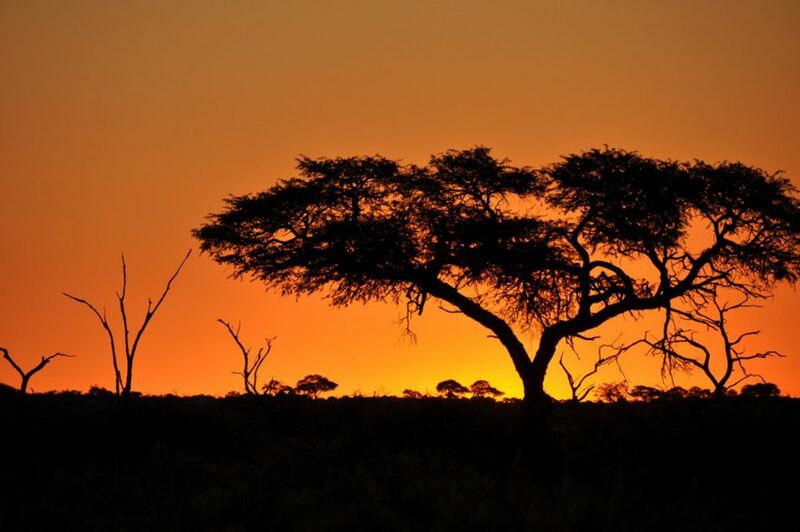 A Safari in Africa is a dream come true for many travellers. After all, who wouldn’t want to experience the beautiful environment of the African plains while viewing amazing animals in their natural habitat? Add on some interesting cultural and culinary experiences, and you have the recipe for an amazing trip. But how do we plan a trip to Africa for a safari on a budget? It doesn’t have to be too challenging, as budget Safari companies can be found which will whisk you off to an amazing destination with world-class service, all at an affordable price. Assembled below are a number of tips and pieces of advice for anyone interested in venturing to Africa for a Safari. Many of these tips come from the experts at African Budget Safaris. As travellers and guides, they have criss-crossed the African continent, and are sharing their insightful wisdom here. 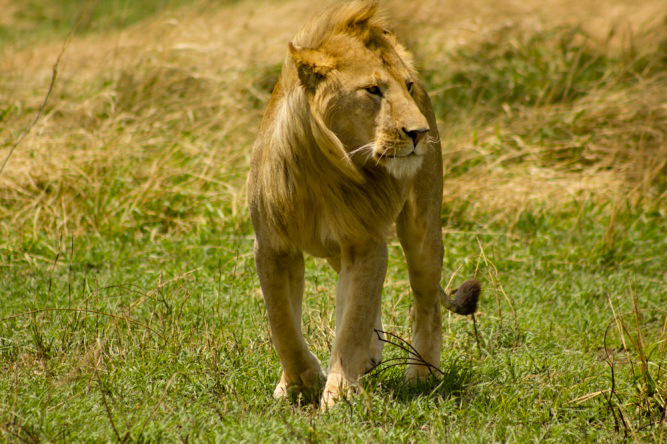 When should you go on an African Safari? Peak season for an African safari is December and January. To make sure that you get the safari that you want, and to avoid disappointment, book well in advance. When on safari, Take your Time. At popular destinations, add an extra night to make sure you get the most out of your trip. Areas such as Cape Town, the Garden Route and Kruger National Park have so much to offer, it would be a shame to rush your holiday and miss any of the major highlights. Be in time, not on time. You’ll soon learn that Africa moves at her own speed and to her own rhythm. It’s important to be in the moment here. Being open to her eccentricities, peculiarities and quirks is part of the charm of a safari in Africa. Sit back and enjoy the people around you, value them, and you will treasure your African safari memories for ever. 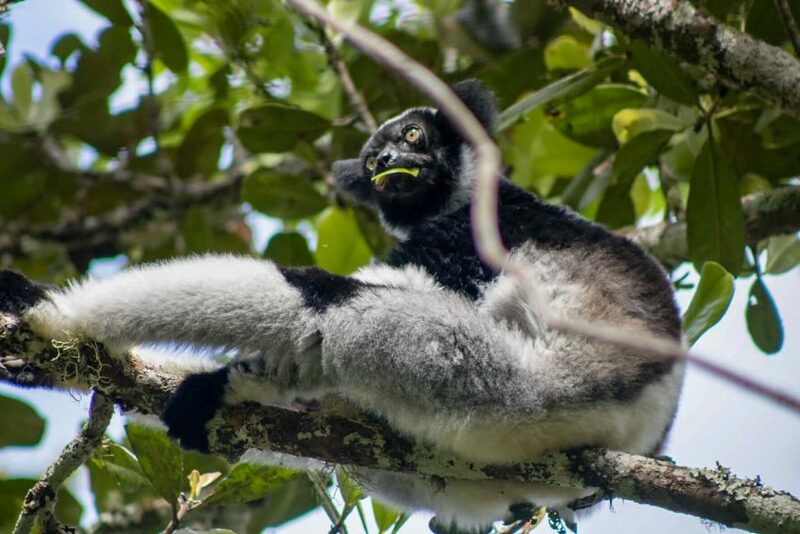 Yes, Madagascar is a terrific place to go on Safari. Even though it might not be as well-known as other African destinations, this nation has many unique experiences to offer. Dan, one of African Budget Safaris’ experts, shares these tips for travellers. The ideal time to travel to Madagascar is in the dry season from April to November. Cyclone season runs from late December to March and that means wet, wet, wet. A combination of heavy rain, bad infrastructure and poor roads means that much of the country becomes water-logged and inaccessible, thus making travel in the wet months a frustrating and unpleasant affair. Travelling solo is great but in Madagascar, this pushes up the prices. He recommends joining with a group tour, as not only does the price come down but groups of four and over generally come with a free English-speaking guide. Change your money at the airport with an official money exchange. Euros and dollars are advised as credit cards and travellers’ cheques are seldom accepted. There are about three official exchanges in the airport, so check all three for the best rates. In a world full of incredible imagery, Harriet points out how important it is to manage your expectations. Some East African wildlife documentaries take years to compile and hundreds of hours of footage. You will see loads of amazing game, but it is not going to be the quality of an HD flat screen TV. Your East African safari will offer so much more, the sights, the smells and the unmistakable excitement of an African game drive. This one is for the ladies. The roads on your East Africa safari can be long and bumpy. Harriet has never regretted packing a sports bra. Lastly, Rwanda and Kenya are blazing a trail by banning the use or import of any plastic bags. This is amazing and an opportunity to really challenge yourself to pack responsibly. Packing responsibly in East Africa, is a habit that you can take with you all over the world. Be prepared. There is a lot of good pre-departure information that can help you to avoid any unpleasant surprises. Take advantage of the tour dossiers and travel advice so that you know exactly what’s coming. 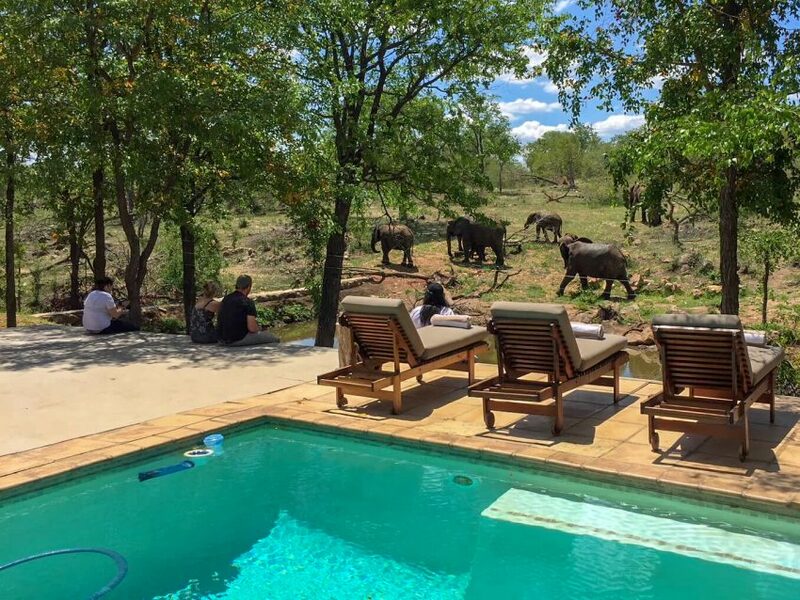 With such incredible game viewing, it is suggested to not fuss too much over the Big Five. They are the Big Five for a reason, but all the other game deserves a descent look too; graceful, elegant, weird and wonderful, a Kruger safari has it all. Stay alert on your game drives. The guides are excellent at what they do, but they don’t see everything. 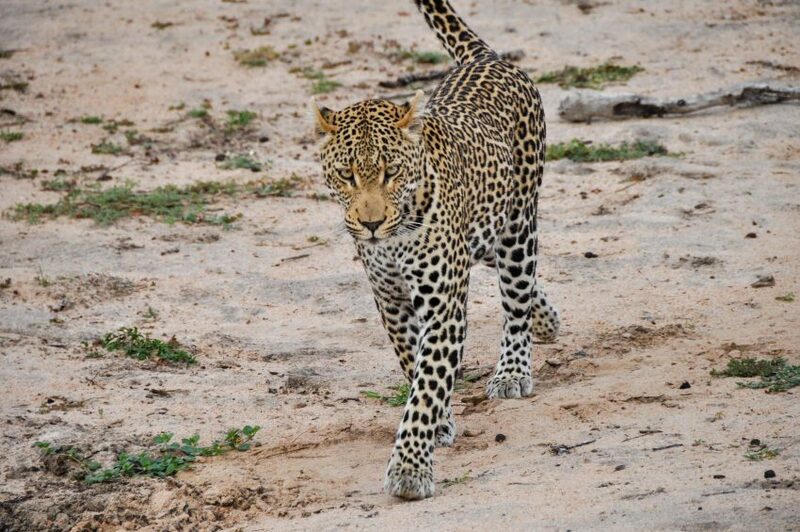 With everyone keeping an eye out, you increase the chances of seeing animals that are notoriously difficult to spot – such as the leopard. Travelling around Botswana, it is best to ask locals before you take their pictures. Generally speaking, locals are warm and welcoming, and it doesn’t hurt apply an ‘ask before you snap’ attitude. Botswana is wild. Crocodiles, hippos and other game frequent the waterways. Chris says it’s not worth the risk, so avoid swimming in anything except a swimming pool where you can see exactly what you are up against. Change your money to Botswana Pula on arrival. Once you leave Maun, Banks and ATMs are not readily available. Many people choose their honeymoon to go on an unforgettable safari adventure. The excitement and romance of an exotic honeymoon can take your breath away. Here are Clare and Bronwyn’s top tips and golden rules for honeymoon adventures. 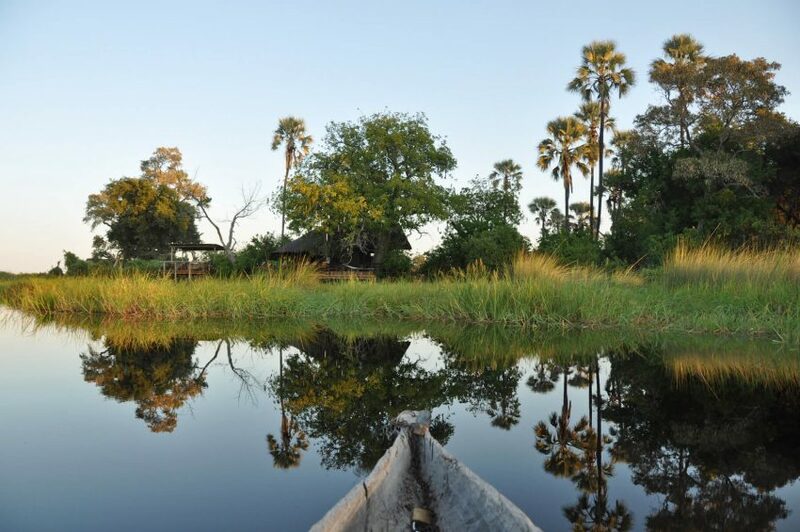 If you have the time, says Clare – seeing as it is your honeymoon – take an overnight canoe safari. It’s wild and exciting knowing you are comfortably camped on the edge of the mighty Zambezi, just you, the stars and sounds of the great outdoors. There is a professional crew on hand to do all the less glamorous work like setting up tents and meal preparation, leaving you to soak up the atmosphere of the Africa around a warm and cosy open fire. 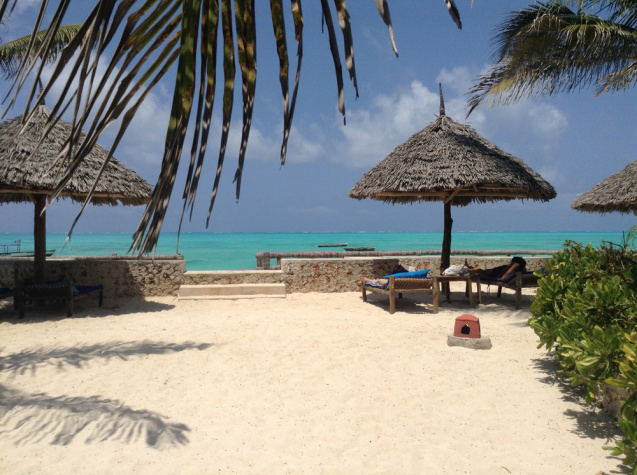 To help your African honeymoon stretch even further, there is something called the Kaza-Uni Visa. This visa is still available and it is so simple. 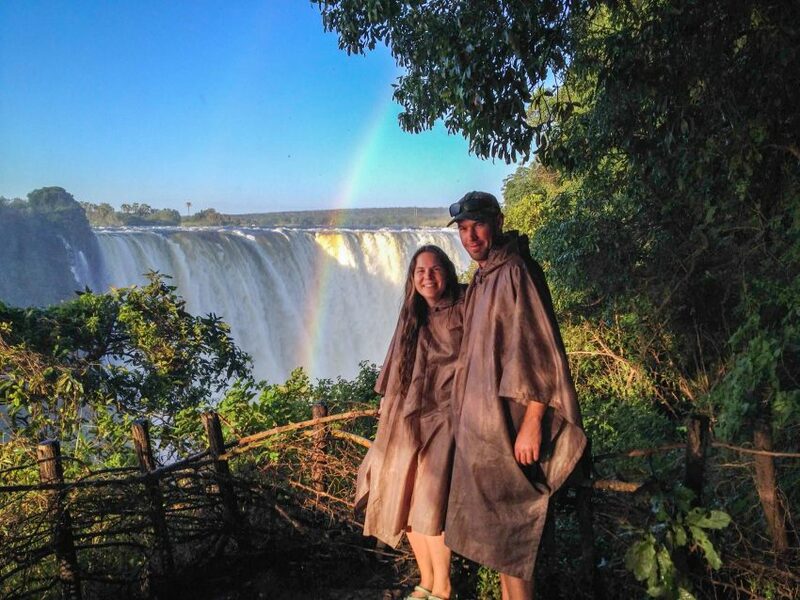 On entry to Zimbabwe and Victoria Falls, you can pay for a combined Zambia/Zimbabwe Visa at a cost of USD $50 per person. This, remarkably, is the same price as just the Zimbabwe visa on its own AND will allow you to access the Falls on both sides! So worth it. Remember, when visiting Zimbabwe, Zambia and the Victoria falls on your honeymoon safari, USD cash is king! ATM’s often do not work and USD goes much further than ZAR. There are African safaris that cater especially for families with children under 12. Bronwyn says that it is totally worth paying a bit extra for a family departure. 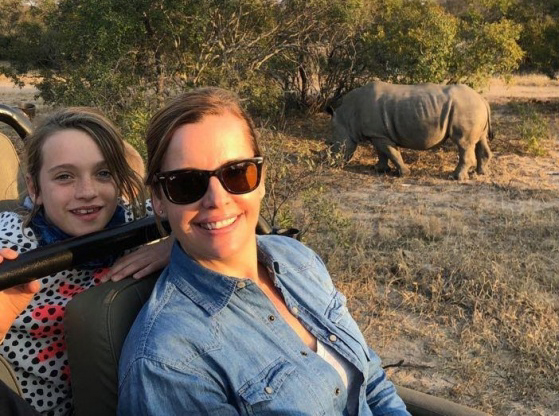 These family safari packages take a bit more time, have shorter travel distances and have activities geared specifically for kids. Talk to your consultant and together you can decide on an itinerary that suits your entire family. Make visiting a travel clinic part of your preparations before you book your trip. East Africa, Kruger, and Mozambique safaris are especially fantastic for children. The guides and locations and experiences are an amazing education that your child will not find anywhere else in the world. These areas do have malaria however, so precautions need to be taken. Make sure you know what vaccinations to get and what other prophylactics you’ll need. Taking these precautions means you can travel in these areas stress free. Distances in Africa are huge and there will be at least one or two days where long distances are unavoidable. Be prepared for these long journeys by letting your children know what’s coming. Have a family map where you plot your journey at the beginning and end of each day, marking destinations with stickers and roads with red markers, you could even let them draw on it. There are loads of games to play of which I SPY is still the king of the castle. Some other excellent items to help pass the time: a pair of binoculars, a field book to record sightings, an instant polaroid camera and a little bag with glue and scissors – will keep them amused for hours. A family safari golden rule: be flexible. Be patient. Be open minded and speak to everyone. Remember children are often as interested in a row of Matabele Ants marching in a line as they are in a herd of Elephants at a waterhole. Children bring new eyes to the wonders of Africa and there is NO better time for them to experience the incredible beauty and majesty of this land. 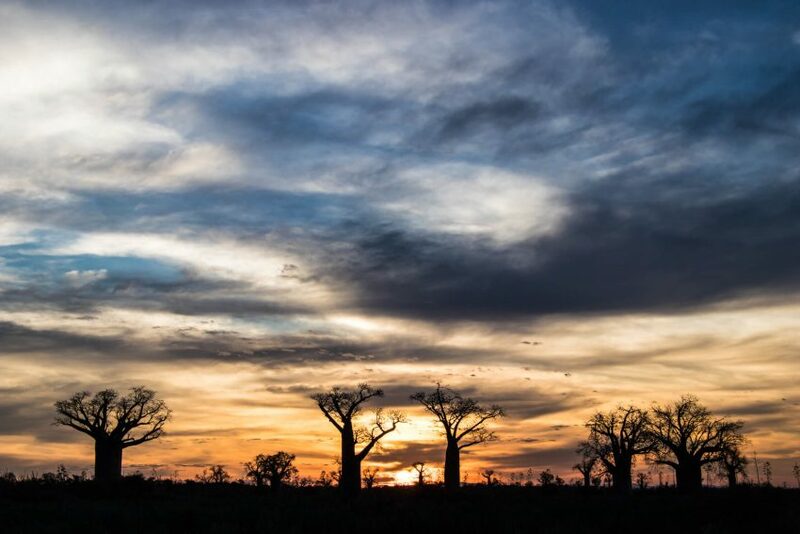 An African safari may seem daunting and like an impossible dream, but with some detailed planning and foresight, it’s a dream that anyone can achieve.